These days with social outlets being a major source of information for businesses and people alike, World’s Best Cat Litter™ just wants to remind you of how easy it is to stay in touch with us. Since you are right now, chances are you think about cats and pets almost as much as we do! In fact, you’ve probably muttered over your litter before. We bet your relationship with your pointy-eared friends have once or twice been strained by what you have once or twice scooped. That means you understand the value of using the best solution for cat litter boxes. So were staying connected in every way we can. So here are all the ways you, your friends, family and fur-riends can stay connected with us! 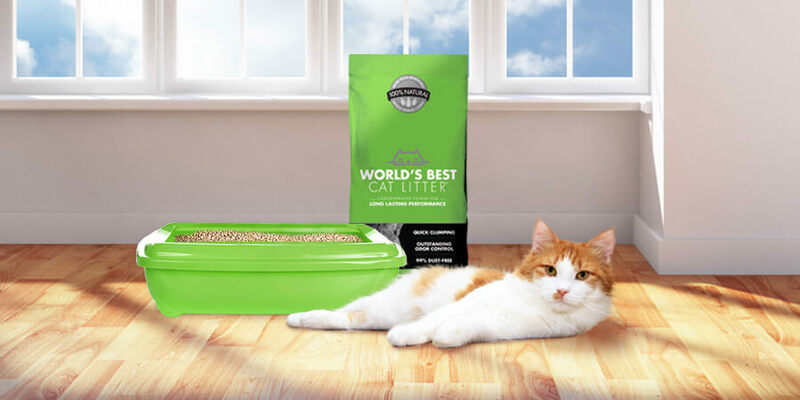 World’s Best Cat Litter™ is on Facebook! These days with large companies moving towards social networks to reach out to their fan base, we have done the same. Our Facebook page is not just about making numbers though. We want to stay connected with our friends and take advantage of how easy it is to interact with people who have questions, comments, or even ideas for us. We are also on Twitter! Twitter is a fun and simple way to keep our followers entertained and up to speed with the latest and greatest. We put up pet and people friendly links that will most certainly put a smile on the face of any pet lover. In addition we run fun contests and monthly giveaways! Our Inside Scoop newsletter and Clearing the Air blog are two fantastic ways to keep you up on all the latest news, pet health tips, cool pet products and special offers on World’s Best Cat Litter™. You can subscribe to the newsletter here and get regular updates for Clearing the Air by RSS or email. We aim to deliver blogs and newsletters that give our readers real value and deliver some belly busting “LOL” moments! Also, anytime you have an idea for a blog or newsletter we invite you to share them by writing to us right on the sidebar of this blog! Lastly, our YouTube channel is a fantastic opportunity to watch and learn more about our litter. If you like the videos be sure to subscribe to our channel or become a friend. To all of you who already connected with us we thank you! We love hearing from you and getting the chance to share new stuff with you!